To get the flow we need to sacrifice the minimalism for clutter. Flexibility trumps the seamless flow and leads to this...ugh. 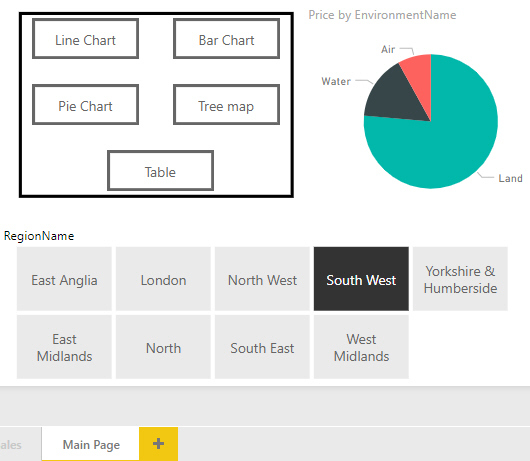 The first page has the slicers, buttons controlling the graph type and a chart that was originally cross highlighting. Users can filter and adapt the page to their liking. In fact, they won't be able to reach this page without coming from the Main Page. 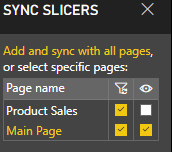 The funnel lets you choose which pages get filtered by creating a slicer on each page. By default the slicers are visible, but you can hide them by unticking the eye. 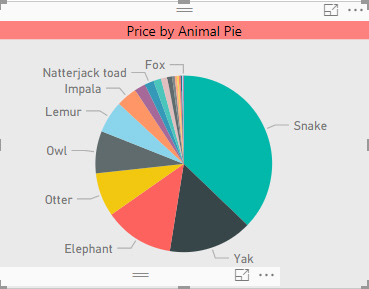 For each chart type create a bookmark. 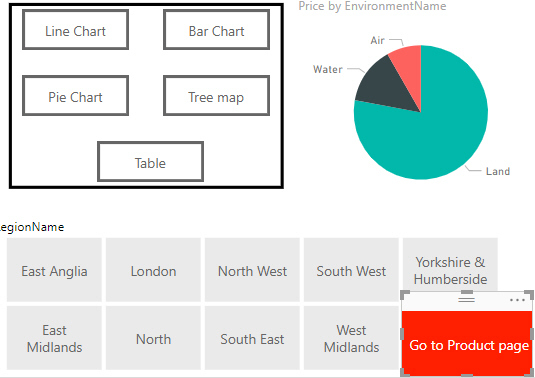 Ensure that all the other charts are hidden and selected before clicking Add. Choose Selected visuals to make them part of the bookmark. Current page controls whether you move to the page the bookmark is on. By unchecking it, we opt to not move through to the Products page but still to switch the chart. The table will have switched into a pie chart. Since we stopped the other bookmarks taking us through to a different page, we need to created a separate button and bookmark for this purpose. By unselecting Data and Display and choosing Selected visuals with no visuals selected, nothing about this page is saved in the bookmark. 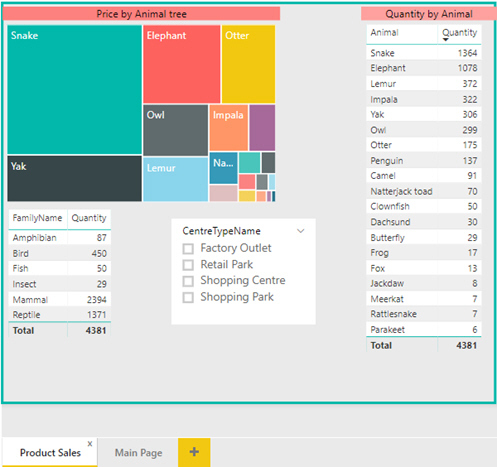 Add the field you want to use as a drill-through to the Drillthrough filter of the target page. In this case we want to use the EnvironmentName field to drill through to the Products page. Personally I prefer a hidden slicer to a drill through. That is us done! 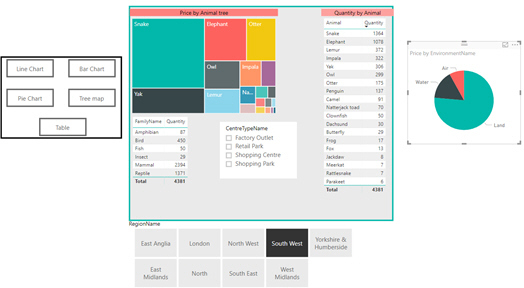 We can filter, dynamically change and drill through to the report from a different page. Try the completed report here.